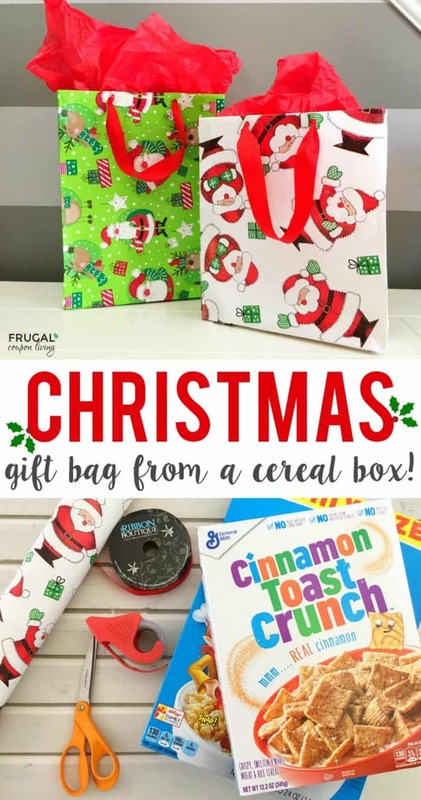 Upcycled Cereal Box Gift Bag and Christmas Craft on Frugal Coupon Living. Creative idea and fun homemade gift bag for the holiday season. You guys, I am so excited about this upcycled Christmas craft. How perfect is this? 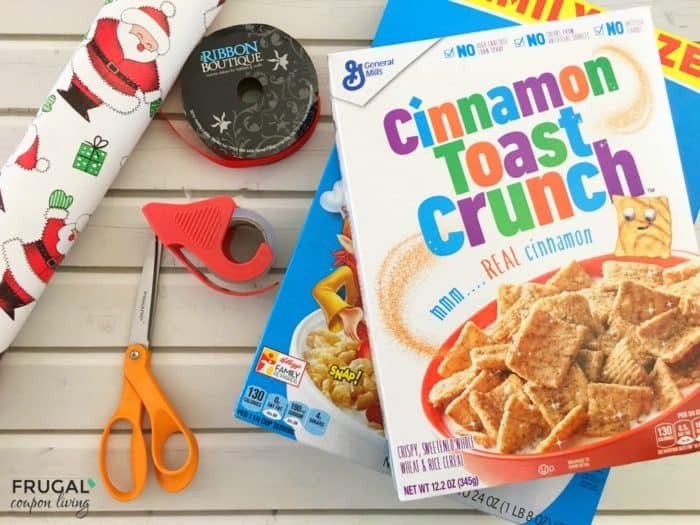 Make your own Christmas Gift Bag from a cereal box! 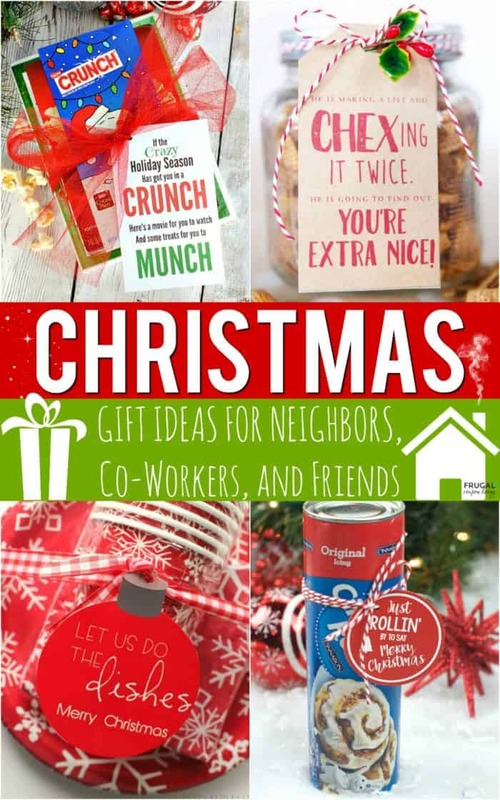 I love this because cereal boxes are not sparse around our home and it’s cheaper to buy gift wrap than it is a dozen or so Christmas Gift Bags. Additionally, the gift bag is supported by a pretty sturdy wall – a cereal box! They also look cute and stand up perfectly even with odd shaped gifts inside! Lay a cereal box onto your wrapping paper like you are going to wrap it but have the top of the box lined up directly with the top wide end of the wrapping paper. Cut your paper with enough room on each side to wrap around the box. Fold the top wide end of the wrapping paper down about 3/4″ inch and secure with tape. 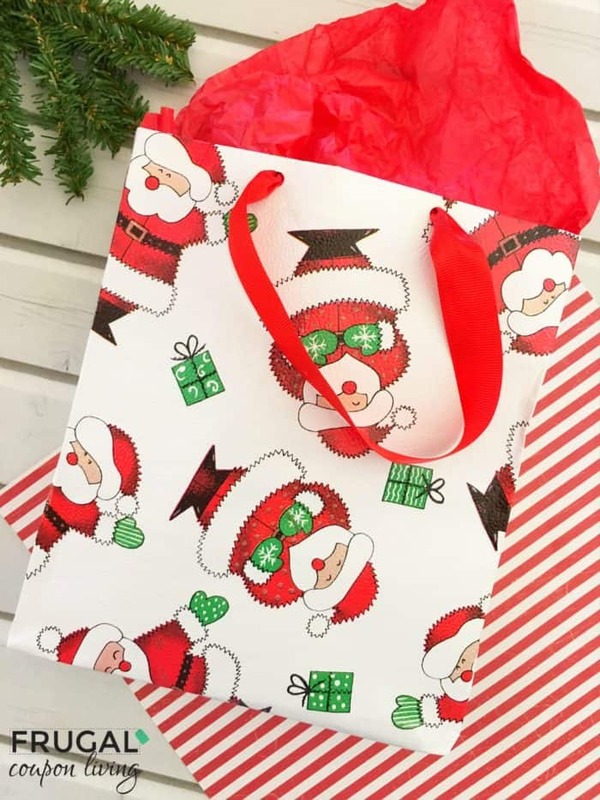 Place the folded side of your wrapping paper about 3/4″ up on the box, fold one side on the bag in like you did to the top, wrap the box and tape on the side. Fold and tape the bottom of the wrapping paper like you would when you’re wrapping a present. Slide the bag off the box, fold in the sides and place your gift/tissue paper in the bag. 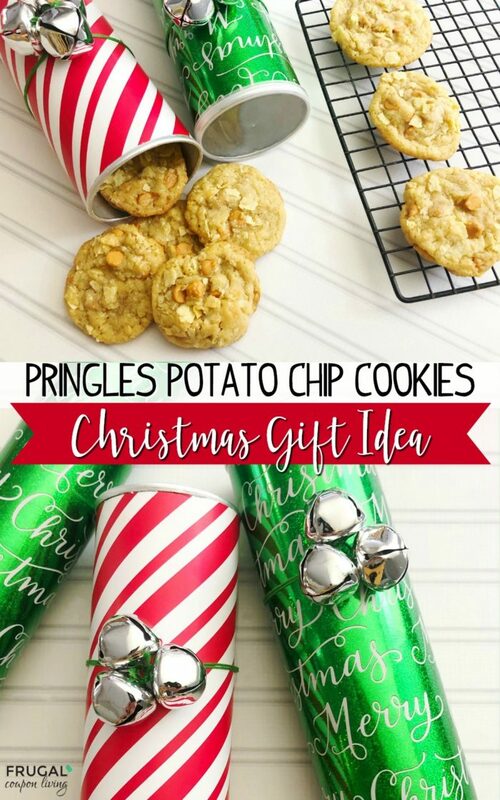 Also take a look at these Pringles Potato Chip Cookie Recipe and Pringles Can Craft. Pin to Pinterest. This would go great with our Christmas Gift Ideas for Your Neighbors. Pin to Pinterest on your Gift Guide and Christmas Boards. 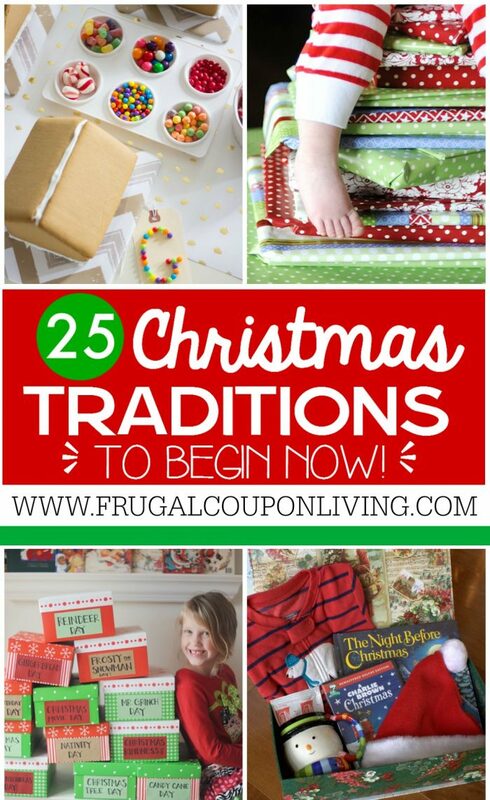 Be sure to take a look at these 25 Christmas Traditions to Start Right Now! Pin to Pinterest. 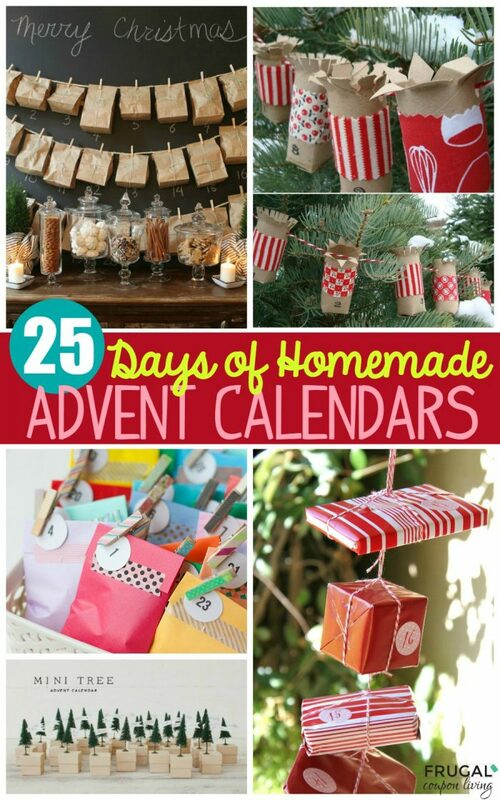 Take a look at these 25 Homemade Advent Calendars. Pin to Pinterest. Take a look at our 31 DIY Christmas Gift Ideas. Pin to Pinterest.